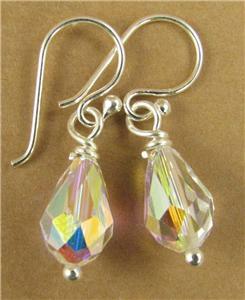 Home › Earrings › Aurora borealis small teardrop earrings w/Swarovski elements. Sterling silver. 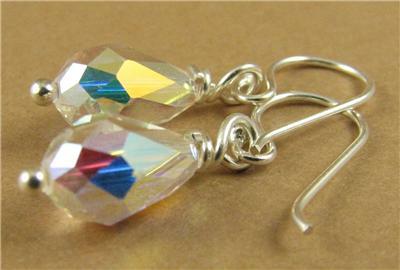 This is a gorgeous pair of small aurora borealis earrings. 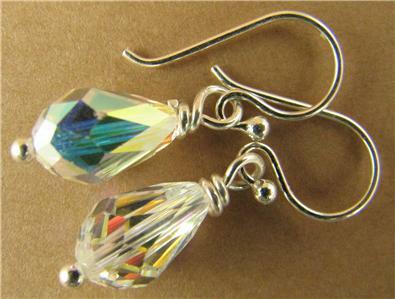 I have made these earrings myself using genuine Swarovski Elements crystals from Austria. 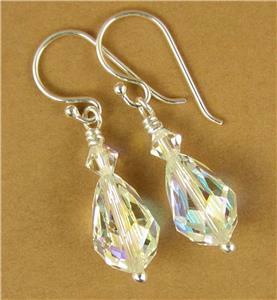 The crystals are cut into a teardrop shape which has been faceted to catch the light beautifully. The aurora borealis colouring contains all the colours of the rainbow, which sparkle as the earrings swing in the light. 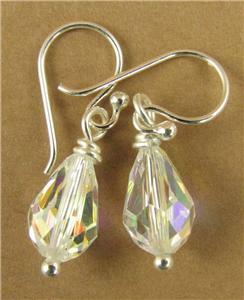 The wire inside the crystals, and the ear hooks, are solid sterling silver. 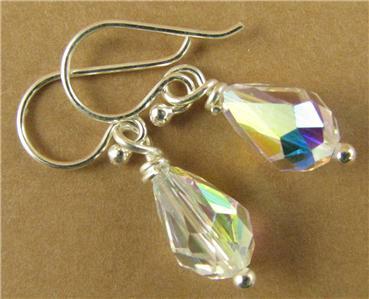 The earrings crystals are 9x6 mm. 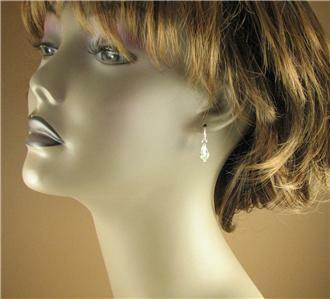 The earrings are 2.25 cm long, from the top of the hooks. 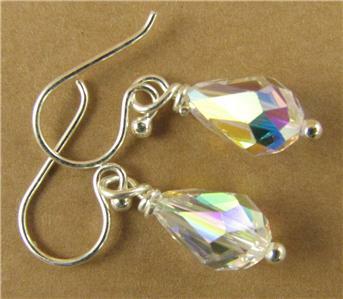 I also have listed in my ebay shop a larger pair of the same earrings for £10.